In DPP v Blango  VSC 384 the respondent was charged with refusing to accompany a police officer for a breath test under s 49(1)(e) of the Road Safety Act 1986. In the Magistrates' Court hearing it was common ground that the driver had refused to go unless he was shown the reading of the preliminary roadside test, and it was also agreed that the officer had refused that request. The magistrate hearing the case dismissed the charge, finding that there had been no intent of refusal. On the DPP's appeal, Macauley J found that there was no legislative (or other) requirement for the preliminary reading to be shown to the respondent, and so no reason for the magistrate to conclude other than that the respondent possessed an intention to refuse to accompany the officer for a further test. The case was found proven instanter. The most common reason for a police officer to form the opinion that a driver's breath contains alcohol (a prerequisite for a valid requirement to accompany for a further test under s 55) is the result of a preliminary breath test. 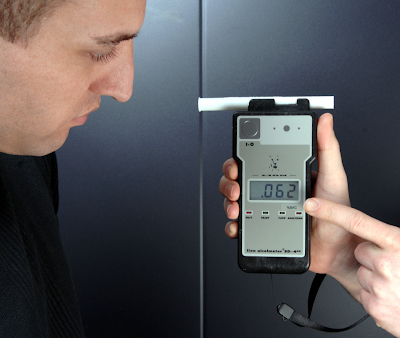 This device doesn't just tell its operator whether alcohol is present, but also presents a figure of how much is present. It's not surprising that a driver who has just been tested and produced such a reading would like to know what that reading is. But nothing in the Road Safety Act 1986 requires the police officer to tell them, and a refusal to share that information doesn't invalidate a requirement that the driver accompany the police officer to another place for an evidentiary breath test. In DPP v Blango  VSC 384 the driver, Mr Blango, insisted on being told the PBT reading, as a precondition to accompanying the officer to a police station for an evidentiary test. Magistrate Spencer ruled that, in these circumstances, Mr Blango had not intended to refuse a requirement under s 55. Failed to apply the relevant objective test for refusal as laid down in Hrysikos v Mansfield. Took into account an irrelevant matter, namely Mr Blango’s subjective beliefs as to the law. Took into account an irrelevant matter, namely Mr Blango’s suspicion of police. 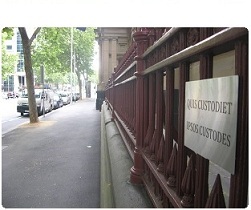 Treated Mr Blango’s reasons for unwillingness to comply as evidence to support a conclusion that he had not refused. The word “refuses” must be taken to carry with it an element of mental intent, albeit judged objectively for the purposes of an offence such as the present. The simplest way of proving a refusal would be if the subject driver said “I refuse etc” or some equivalent words, with or without expletives, connoting an unwillingness to comply. Alternatively, the prosecution might ask a court to infer that a driver has refused to comply by proving facts from which that inference may be drawn, ie by proof of the circumstantial case from which the only inference is that the driver is refusing to comply, albeit he or she is not expressly saying so. A driver who immediately turns and runs away, a driver who jumps the back fence of a police station, a driver who forcibly pushes open the door of a mobile testing unit and runs off without explanation would each be persons against whom the necessary inference could be drawn. The only reasonable inference available from the accepted fact that, after four requests, Mr Blango was being argumentative with police, asserting a mistaken view of the law and wanting to see the reading, as a condition of complying with the informant’s requirement, was that he refused to comply with that requirement. It follows that I accept that the magistrate erred in law. The nature of that error is that her Honour wrongly treated Mr Blango’s particular reasons for not being willing to comply as supporting the inference that he had not refused to comply. In so doing, her Honour either failed to apply an objective test for assessing refusal as required by Hrysikos, or took into account irrelevant matters, or both. In those circumstances I uphold the appellant’s appeal. Because, as I have shown, there was only one inference reasonably open on the facts as found, namely that Mr Blango had refused to comply in contravention of s 49(1)(e) of the Act, as a matter of law he must be found guilty of the offence as charged. Evidence of the result of an alcotest instrument is not conclusive evidence of [an offence under the relevant legislation]. Evidence of the result of a properly conducted breath test is. The result of an alcotest, being a less reliable instrument, can only be a guide which in this case justified the requirement for a breath test. Disclosure of the reading was not necessary and could generate in the mind of the person tested uncertainty or confusion if it did not match the result of the breath analysis, which must be disclosed or if it was in fact below the prescribed concentration. It may be that a reading close to but just below the prescribed concentration would indicate that the prescribed concentration may be present. If the alcotest instrument in fact indicated a concentration above that prescribed, the requirement of subsection (2b) was satisfied.